It is that time of year again! WEEHEEEE! Who else loves fall as much as I do? I love the smell of pumpkin spices, I love all the leaves changing color and I love to wear my big, chunky boots! coming from Australia, I can’t really say that I experienced a REAL fall until I moved here to Colorado. Sigh. 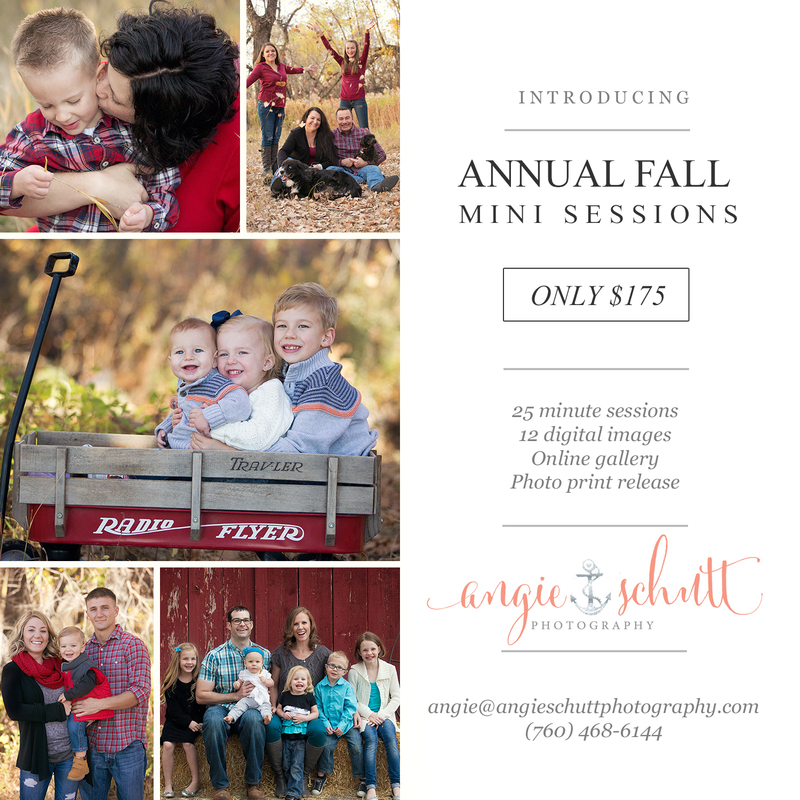 I am super excited to be offering my fall mini sessions AGAIN this year – they were super duper popular last year AND they are PERFECT for your christmas cards! Last years sessions were super successful, everyone arrived on time and everything ran smoothly. It makes me SO excited for this year! Your images will be delivered to you the first week of November giving you plenty of time to get your end of year cards organized!